Between the return of Arrested Development and Daft Punk’s new album Random Access Memories, May 2013 has been a pretty good month overall for people. 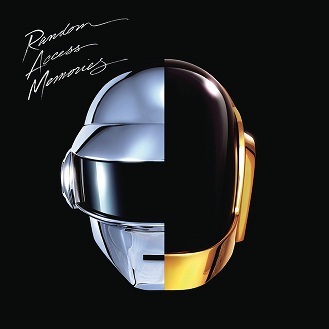 Jokes aside, Random Access Memories reminds us why Daft Punk is one of the standards in dance music. The duo have successfully re-invigorated the genre now three times, with “Get Lucky,” featuring Pharrell Williams, already establishing itself as the summer hit of 2013. It’s been eight years since Daft Punk dropped a new album (if you don’t count their soundtrack for Tron: Legacy, which served as a nice tide from 2005 until now) and this album feels like it has been aging well until it came out. Perhaps the most refreshing part about this album is that, unlike most music being played right now at any dancing scene, is that it doesn’t stick rigidly to the 4/4 time signature that most club music is being blasted at, as that’s not an easy beat to dance to anymore. Instead, Daft Punk gives us music with an organic feel and an irresistible urge to get up and move our feet, something they have been doing since their debut Homework, and will hopefully continue to do well after 2013.